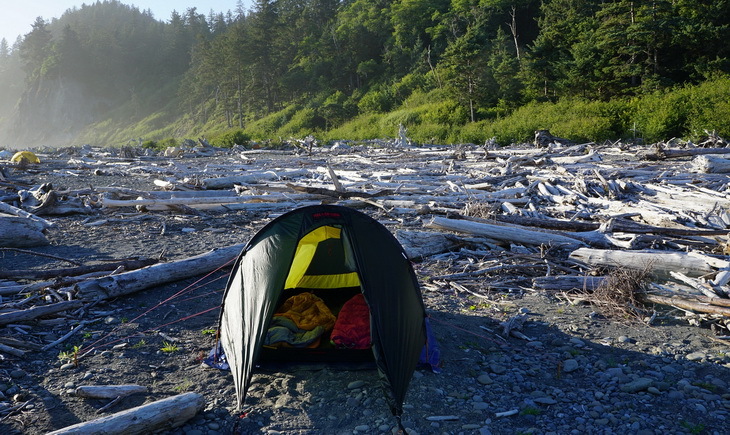 Choosing the perfect backpacking tent can be a daunting task and a complex decision that is influenced by your lifestyle choices and how, where, and when, you usually camp or hike. There are three big things that you should keep in mind when it comes to your pack weight – your usual pack things, your sleeping bag and most importantly, your shelter. Investing in a high quality, lightweight tent is a really smart choice and a cost effective way to reducing the total weight you carry on your hike. In this article you’ll be able to read a review of a super light tent – Hilleberg Anjan 2-Person Tent. This is, by far, the most popular 3-season tent that offers a lightweight shelter designed for relative temperature conditions during fall, spring and summer. Although it can withstand light snow and downpours it is not intended to be exposed to heavy snow and harsh storms. The Hilleber’s Anjan tent has a bright yellow interior, which prevents seeing rain outside the tent. Because of that it gives a more homey indoor feeling and transmits more light inside, giving the interior a brighter look. This additionally adds to space and makes it a more comfortable place to be in in case a storm hits you on your hiking route. Hopefully, our review can help you in finding the right tent to fit you and your partner’s needs. This tent comes in a box that is 6.1 x 7.8 x 20.2 inches and will weigh 4.55 pounds. With your tent poles being made of aluminum the packaging is durable and will withstand shipping to your home. Inside, you will find all of the items needed to put your tent up, as well as directions on how to do so. Anjan tent is pretty luxurious if you compare it to other lightweight shelters and tents and has an adjustable clothesline which makes it perfect if you decide to go for car camping. 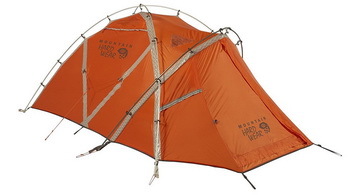 Backpacking tents, such as this one, have space efficient designs with low headroom, narrow foot spaces and steeply sloped walls. Newer designs are intended to have an open interior without adding unnecessary weight. Tents that weigh at least a couple of pounds less are surely less durable, so that is why this tent is one of the most durable tents on the market. The Anjan tent comes with metal rings, metal hardware and strong plastic. Its floor fabric is unquestionably more durable than the fly fabric. Many ultralight tents use the same material for the fly and the floor, but not this one. 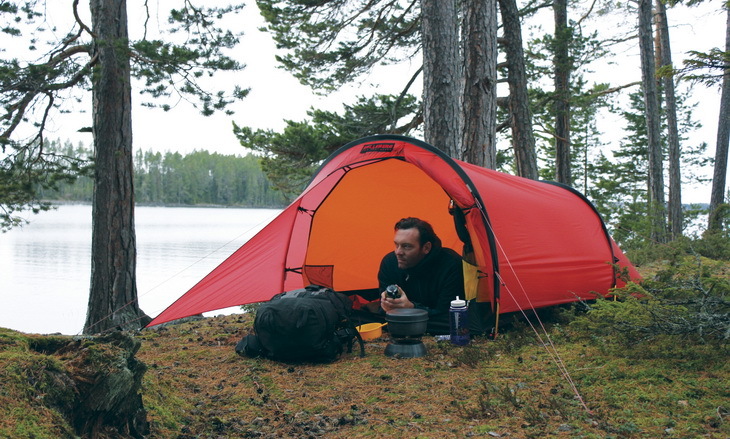 This tent is built to last and has a waterproof Kerlon 1000 for the rain fly. The Kerlon 1000 is a durable silicone ripstop nylon that is imposingly strong. 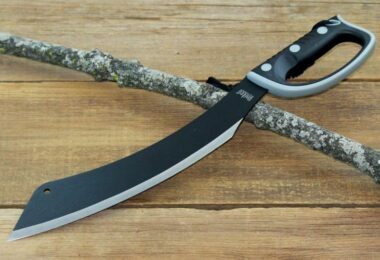 Its warp break strength is 22 lbs which is the strongest fabric that is used on any tent that can be found on the market. If you’re taller than 6 feet it might happen that your feet or sleeping bag will touch the end of the tent so keep that in mind because condensation can get your sleeping bag or feet wet and this is something you don’t want to have to deal with after a long day of camping. 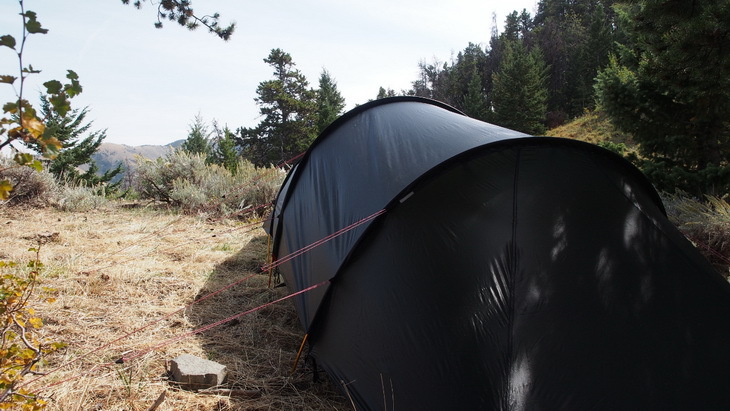 This is the most common problem with tents that have the slope toward the back design. But, in this case, the entrance that is 14 square feet, makes this tent one of the largest among the tents with single doors. 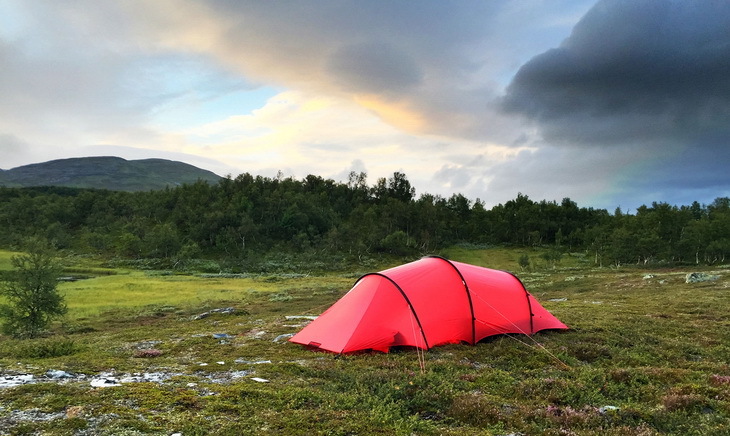 Although Hillberg’s Anjan tent is not the lightest tent when comparing with similar tents (it weighs 65 ounces), if you’re looking for a storm-worthy tent than weight savings doesn’t seem big of a deal here. The weight here is well worth it. If you want the lightest tent out on the market better get ready to sacrifice a little bit of weather durability and resistance. This tent has impressive ventilation, because of the pattern they have used in the tents, that create gaps so that you get a full amount of air flow coming through. This also makes it easier to put together in windy weather! The mesh door and mesh vent, keep the air flowing as well, and you can always roll up the part of the wall of the tent to let more air in, if necessary. This is why this tent is especially perfect for warmer weather, because you will always have a well ventilated tent for the season. Anjan tent has superb protection from all the elements. If you hike in places where the weather is pretty wet and comes with many storms than this tent is the perfect solution for you. It comes with strengthened zippers and the floor is higher than most other tents which mean that the tent is weather resistant to any splashback and spindrift. The inner part of the tent is made out of a strong nylon fabric that will prevent any sand or snow penetration. The vestibule zippers also have a waterproof cover which means that despite numerous serious rains, you won’t find that water entered the vestibule. You can see small droplets but it’s nothing that is not normal. You can even see some videos of possible setup configurations for camping in high winds online. This tent is not ideal for high altitude terrains but is great for longer and shorter trips in protected terrain. In windy, dusty areas the Anjan tent will protect you from the sand blowing considering the fact that it comes with a high bathtub floor and nylon interior walls. This tent comes with instructions, but is generally very simple to set up. You put the poles into the ground and secure them. If done properly, your tent will stand erect, and the poles are bent into a horseshoe type shape. Using this tent is easy, as well! There is a mesh door in the front for easy access, and you can climb right in, without issues, and zip your door up. Mesh doors are not the best for winter, as they do not keep the heat inside. 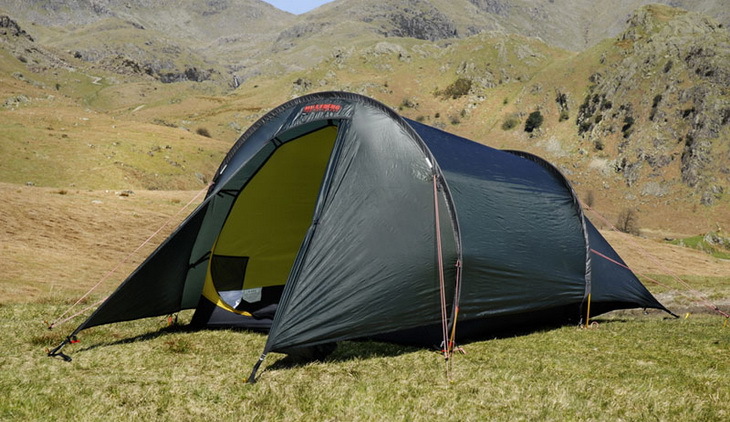 While this is a hugely popular tent on the market right now, there are surely some that cost less and can give you nearly the same function and features. What makes this tent worth the huge cost is that it is made for 3 seasons, it’s so lightweight that you will not have to worry about carrying it along, and it is made with such strong fabric and materials, that you will not be disappointed when those high winds roll through. 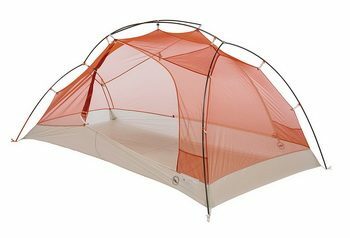 Below are three reviews for your consideration that are similar to this particular tent. Take a look below to get an idea of what features you can find out there, as well as other factors that may influence you on your next purchase. 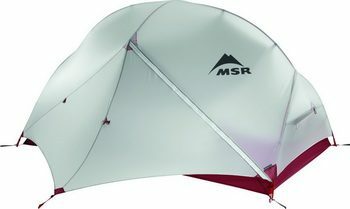 The MSR Hubba has been designed over again to be more lightweight and easy to take with you. There are 2 large doors that have built in rain gutters so you stay dry. The ventilation has a rain fly so you do not build up humidity within the tent. Made from nylon fabric, this tent also includes Infinity Bar Tacks and seams coated in Durashield for extra protection against the weather. When packed down, this tent has dimensions of 19 x 8 x 7 inches and can be brought with you anywhere. Users like the light weight of this tent, as well as the fact that they stay dry inside because of the precautions taken by MSR to make sure their products are waterproof. The downside is that the poles will keep their bend after a while, and the company will replace them if there is a significant problem with the poles. Users also love that it only takes 3 to 5 minutes to put up and about 5 minutes to pack it down. Even in days of rainy weather, users were dry as a bone inside of this great tent! The Big Agnes Copper Spur is a heck of a tent. With 9 square feet of room, you will enjoy 2 doors and 2 vestibules that both have storm flaps and zippers. There is a nice design and it is made with all mesh fabric, which allows you to stare into the night sky as you fall asleep. The tent is connected to the poles with Velcro, adding more stability to the tent. It is also ready to pitch, meaning it will take no time at all to put this baby up! Not only that, there are 4 storage pockets to put your keys, phone, or other items inside. The tent is waterproof and has a polyurethane coating on it, as well as the seams to keep you dry. This gray and orange tent is definitely one to look into! You do not have to climb over anyone to get out, as it is quite spacious! You can bring in your wet boots and other gear to dry off as you drift off to sleep! Users love the easy set up and the nice color of the tent, as well as how much space it as. They thought it was a little narrow at the ending, but overall, it held up well! Users stated that it should come with a footprint, which is sold separately. But it does have a repair kit that comes with the tent, so you are able to patch a hole if happens to puncture the tent. The Mountain Hardwear EV 2 is a freestanding tent that is made of 30 D Nylon Ripstop on the tent and 70 D Nylon Ripstop on the flooring. You get 33 square feet of room, which is quite large, and users love how spacious it is inside. You get 41 inches of height, 1 door, 3 poles, and a durable tent that is great for all 4 seasons! 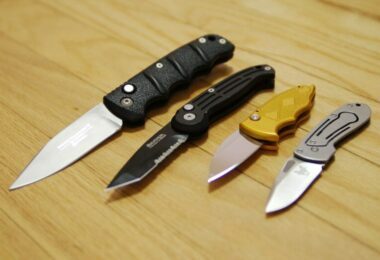 Users love how compact it is, as well as light in weight. The tent is strong and made with fire retardant fabrics that breathe. This tent has 4 vents that adjust, with mesh fabric and zippers on them. The tent stays strong with the Evolution Tension Arch Technology that enhances the frame, and the DAC Featherlite poles have a big strength to weight ratio. Great for any terrain, this tent will not disappoint, as it even includes an exit for any snow or frost that builds up while you are inside. Inside the tent, you will find several pockets where you can store your personal items like keys, phone, or clothing. You can even put your wet clothing from the day in there to dry. There is certainly enough space for 2 people and their gear in this large tent. Users did want a floor footprint, but it can be bought separately, as well as the triangular gear loft. It does come with the line tensioners and the out line. Overall, users did enjoy this tent because of all the great features it has, plus it is made from highly durable materials that will last over time, no matter the weather or season! 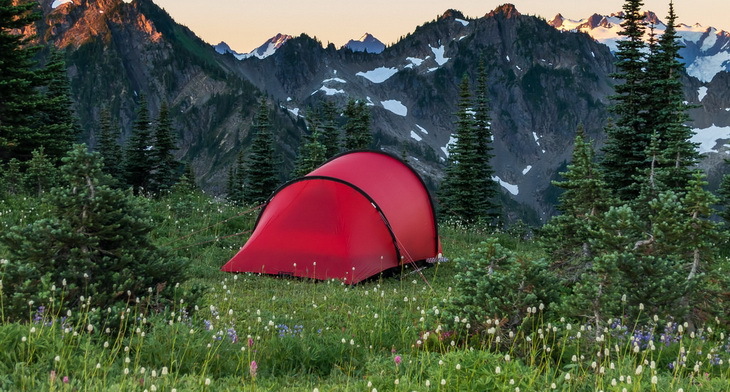 When it comes to grading, most campers and hikers gave this tent 10 out of 10 points because it is weather resistant as it offers great protection from all the weather elements. The poles of the tent are “not that bad” considering the fact that there are some that are stiffer and lighter than these. If you ask professional hikers they’ll probably all recommend this tent as there are even some who climbed the most difficult mountains and said that this tent is so warm they haven’t even used their sleeping bags. 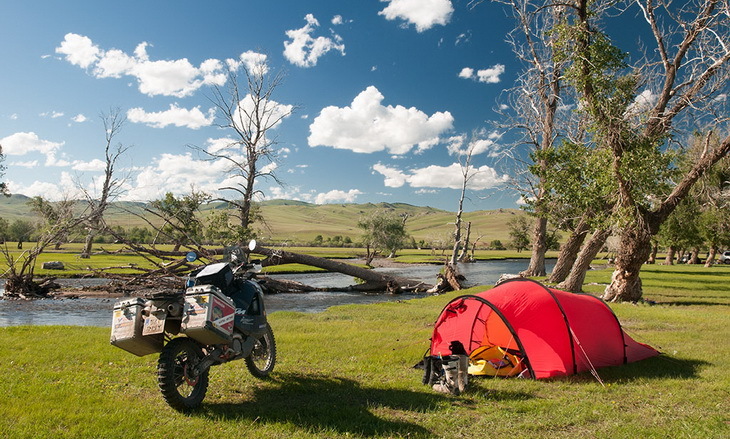 Their general conclusion is that this three-season tent has many features that can be found on four-season tents. Hilleberg did another great thing when designing this tent and that is when they included a pole sleeve for repairs and an extra pole in case something happens and you need to do some repairs, this will save you some money because you won’t have to buy them separately. This tent should definitely earn some awards due to its strong performance and durability in extreme weather. Although you can find less expensive tents, we believe that the price of a little over $600 is a really good value for this quality. If someone would ask us to recommend a tent that can be used for all seasons, it would definitely be this one. It is perfect for those who love hiking alone or in a pair and do different activities like bike touring, car camping, hiking, or kayaking, this tent will surely cover all your needs through at least three seasons. If you found our review to be useful, please feel free to share it with your friends. On the other hand, if you think we left something important unsaid, leave a comment in the comments section, where you can also ask questions if you have any.